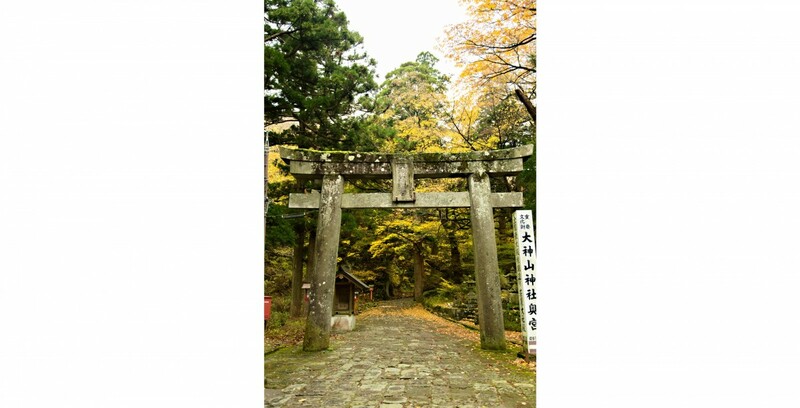 The history of Ōgamiyama Shrine dates back to the ancient cult of Ōgaminotake, a former name of Mt Daisen. Originally called the Great Chimyo Gongen Shrine, this shrine was given its current name when Buddhism and Shinto were forced to separate during the Meiji Restoration. The inner hillside temple was divided from the main shrine at the foot of the mountain. 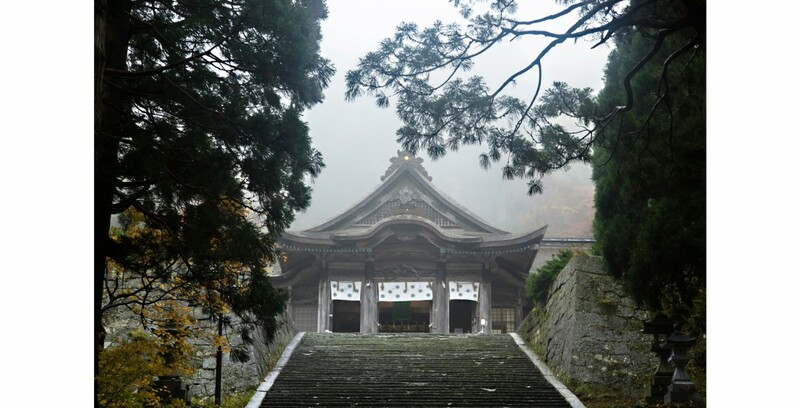 The main building, moved here during the Edo Period, is a popular place to pray for family safety and success in endeavors. A complete parking area is available, with carp swimming in the nearby moat. 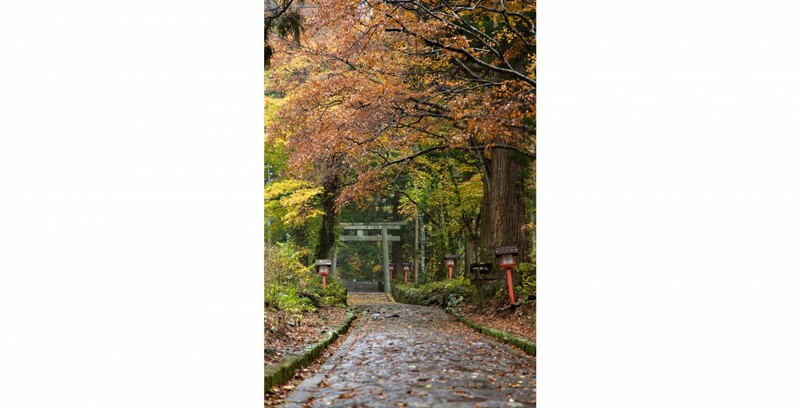 The shrine is accessible via a 700-metre-long path made of natural stones and is one of Japan’s foremost gongen-style shrines. Inside the building you will be surrounded by some of the country’s loveliest sandalwood painted murals and sculptures. Ōgamiyama Shrine is also the location of the first festival of spring, called the Syunki Taisai, and later the Natsuyama Biraki festival heralding the arrival of summer. The formerly commonplace Mohitori Shinji is also preserved as an annual event, and the autumn Shuuki Taisai bring crowds of merrymakers every year. 15 min. from Yonago Expwy Yonago IC to Rt. 24 (Daisen Kanko Doro) to Bakuroza Parking Area. 20 min. on foot from Daisen-ji trail. 50 min. 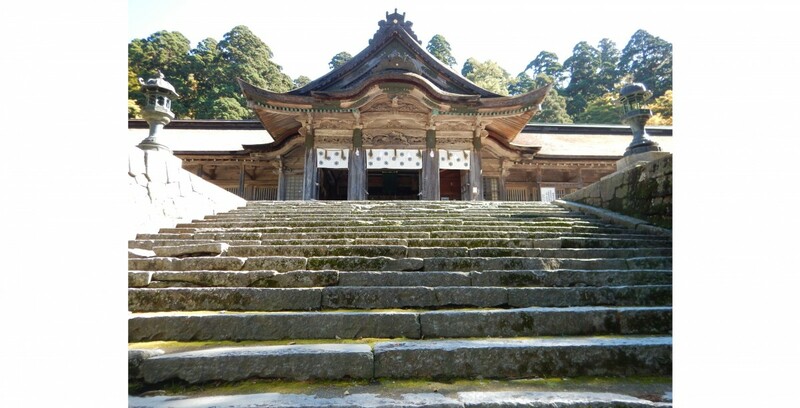 by bus from Yonago Station; get off at Daisen-ji and walk 20 min. on the trail.